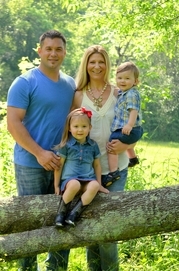 Professional licensed General Contractor, Building Dreams KD, Inc. is comprised of partners David & Megan Wint. David was introduced to the construction industry by family members who acknowledged his aptitude for the business, but who also educated him on the finer details of the different trades. He attended Georgia Southern University on a football scholarship to study business. In 2000, his entrepreneurial skills prevailed and Building Dreams KD, Inc. was founded. David built an admirable reputation in the finer neighborhoods of Altanta due to his superior craftsmanship. He was asked to be the Resident Contractor on HGTV's "Designed to Sell!" While he fillmed and completed over 300 makeovers for Atlanta residents so they could sell their homes, Megan Wint joined forces with Building Dreams This unique combination sets them apart in this industry. Not only do you have David's hands on knowledge and over 20 years experience, but Megan can offer another perspective when it comes to design, budget, and the overall concept of a project!